155 days since his inauguration, President Moon has been disclosing his longer-term plans for Korea. News reports and press releases have rolled out core aspects of serving the welfare of the Korean people in multiple ways. 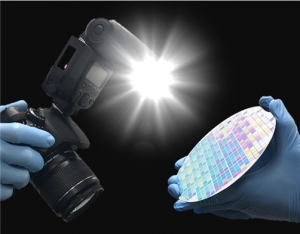 The research team led by Professor Sang Ouk Kim from the Department of Materials Science and Engineering at KAIST has developed a technique for manufacturing semiconductors using camera flashes. 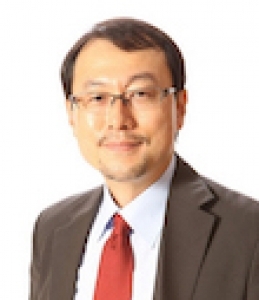 Professor Gou Young Koh of the Graduate School of Medical Science and Engineering has identified the fundamental mechanisms of glaucoma and has suggested new treatment procedures. It’s been six months since the crowdsourced platform “Rally” (also translated from Korean as “Ah, please! Internet”) has launched its beta program. Professor Sangyong Jon of the Department of Biological Sciences has synthesized a nanoparticle capable of optical imaging and photothermal therapy. From September 20, 9:00 a.m., to September 25, 23:59 pm, the Cafeteria Monitoring Committee conducted a student vote on the continuation of the regular operation of Lotteria. 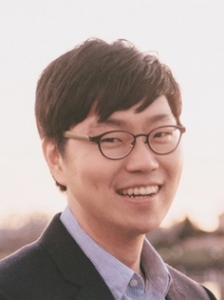 Professor Sang-Min Bae’s team from the Department of Industrial Design has won a total of four awards, including one silver prize, at the 2017 International Design Excellence Awards (IDEA) hosted by the Industrial Designers Society of America (IDSA). KAIST President Sung-Chul Shin has revealed a plan for mandatory artificial intelligence (AI) classes starting for freshmen entering in 2018. Professor Daesoo Kim of the Department of Biological Sciences has discovered the central cause of symptoms seen in those afflicted by Parkinson’s disease. 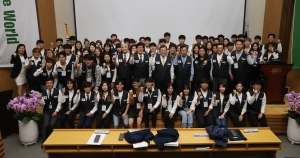 On September 27, the KAIST Global Leadership Center held the founding ceremony for the KAIST Global Leadership Corps at the Creative Learning Building (E11). Researchers from Ulsan National Institute of Science and Technology (UNIST) School of Materials Science and Engineering have developed a new wearable solar thermoelectric generator (W-STEG) in their recent study. 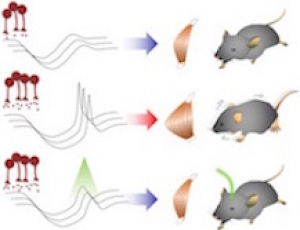 A team of biochemical researchers at Johns Hopkins University has sparked the possibility of creating “soft” robots by using DNA sequences to cause shape-changing in hydrogels. University of Glasgow plasmonics researchers have developed a technique that could prove a secure, stable alternative to dye-based printing for specialised purposes. At Case Western Reserve University, Nord Distinguished Assistant Professor of Mechanical and Aerospace Engineering Kiju Lee has created a soft robot that may one day be used in surgery, assembly lines, or even space. 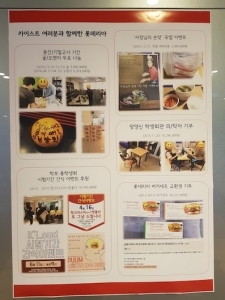 Word spread around campus about a merger between the Undergraduate Student Council (USC) and the KAIST International Students Association (KISA) being worked on behind the scenes. Such a merger could have closed the gap and broken the status quo. Unfortunately, the merger, alongside the possibility of a united student community, has fallen through. 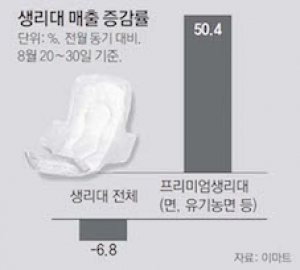 Koreans have returned to buying sterilizers, menstrual pads, and eggs since all three crises have reached the headlines. Unbeknownst to most, however, the arduous investigations on and legal battles against the companies that propagated the misuse of harmful chemicals in their products continue. The sanitary pad crisis had yet to even staunch the outpour of its problems before another scandal whisked Korea and the world into chaos. On July 19, the Belgian government reported the first instances of insecticide-contaminated eggs. Last March, the Women’s Environmental Alliance announced the troubling results of a toxicity analysis on commercial sanitary pads. They had conducted a fund to finance this investigation in response to the growing suspicions of users of a specific brand of sanitary pads who had problems with their menstruation. 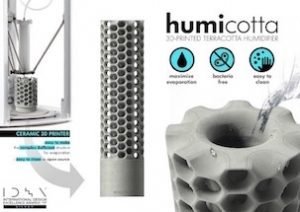 In 2011, hospital records showed some of the first deaths due to the chemicals in humidifier sterilizers. 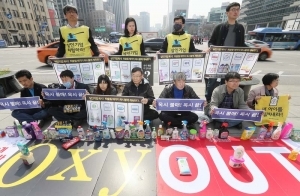 Oxy Reckitt Benckiser (Oxy RB), the Korean division of the British-based company Reckitt Benckiser, has been the main target of the scandal as the market leader of humidifier sterilizers sold in Korea since 1994. A student team from the KAIST Department of Aerospace Engineering won Best in Theme in the Revolutionary Aerospace Systems Concepts Academic Linkage (RASC-AL) competition hosted by NASA.